Congressman Dan Lipinski’s Chicagoland district includes one of the largest concentrations of American Arabs in the Midwest, next only to Greater Detroit in neighboring Michigan. I have known him most of his life, through his father, Bill Lipinski, who was the region’s best congressman. But unlike his father who focused almost entirely on supporting the needs of the local district, the son is spending more and more time catering to foreign interests and concerns. That’s why I am so disappointed in seeing Lipinski embrace fanaticism by co-sponsoring legislation with extremist Congressman Peter Roskam that censors and denies American citizens their right to criticize a foreign country. In most cases, no one would care about criticizing any foreign country at all. But we all know I am talking about Israel, which has an undue influence over American foreign policy and a stranglehold on the members of the US Congress. The Lipinski-Roskam punitive bill is modeled after similar bills introduced in New York’s state legislature to punish organizations that boycott Israel. They demonstrate how weak and feeble the pro-Arab movement really is in America. Despite the claims of successes in Europe to counter Israel’s oppressive policies denying civil rights to Christian and Muslim Arabs in Palestine, the pro-Arab activists are actually losing ground where it counts in America. I know the reality of pro-Israeli activism. If you sneeze at Israel, their highly financed PACs can make your life miserable. In contrast, the Arabs are so disorganized and their good causes are so infested with fanatics that they are incapable of doing any real good, let alone providing support for a politician who stands up for justice and their rights. The Lipinski-Roskam bill denies federal funding to any American educational group that boycotts an Israeli educational institution, even though a boycott is merely an expression of an American’s right to free speech that has a long history of support in the United States. The boycott movement against Israel is almost identical to the boycott against the old South Africa. Although many argue that the South Africa boycott forced an end to the racist policies which segregated whites from blacks, the truth is South Africa abandoned apartheid because of the worldwide embargo, which Israel did not support. Israel practices discrimination against non-Jews inside Israel and steps up the oppression against non-Jews in the Occupied West Bank, but it’s not apartheid. Discrimination does exist in Israel and its policies against non-Jews are wrong. To force Israel to end its discrimination, many American education groups have voted to boycott Israeli educational institutions because those Israeli institutions discriminate against non-Jews and support the illegal Jewish-only settlements that exist in the West Bank and are an obstacle to peace. Those settlements are built on Arab land, much of it belonging to Christian Arabs, like myself. Most Arabs in America are not Muslim, but are Christian. The majority of Arabs living in Lipinski’s district are also Christians, like me. Our Christian origins are under siege by Israel. Bethlehem is oppressed, brutalized and its lands are being confiscated by Israel, too. That needs to stop. Let me repeat this: Israel is stealing land from Christian Arabs to build more illegal settlements that stand in the way of peace. My family owns nine acres of land between Bethlehem, where my mother was born, and Jerusalem, where my father was born. The Israelis prohibit me from developing the land. They want to take it for settlers who are Jewish. My wife and son are Jewish, but many Israelis despise Jews who marry Christians, like me. Israeli law would deny me equal status if we ever moved to Israel. What Israel is doing is wrong. Many people in Lipinski’s district know this and have told him so, but Lipinski doesn’t care. Lipinski has not responded to my emails. The big problem is that the pro-Arab activists are handicapped by emotion and the absence of strategic political messaging. They make it so easy for Lipinski to kowtow to the big-bucks Israeli lobbies and Political Action Committees. 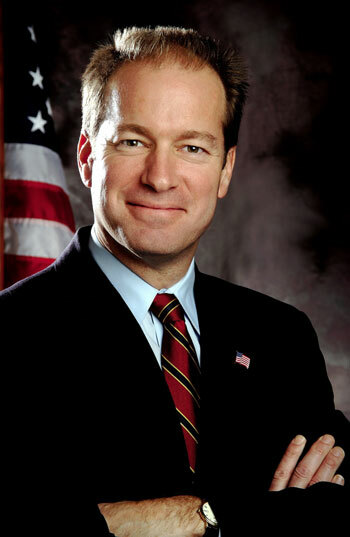 As an American who served his country in active duty military service, I find it embarrassing to see elected officials who didn’t serve submit to a foreign nation’s political whims. If the issue involved Poland, or the rights of Polish Americans, Dan Lipinski would be at the frontline of protests. But this is about Israel and Palestine. Many of the victims are Christian Arabs. That it doesn’t bother Lipinski bothers me and should bother you, too. 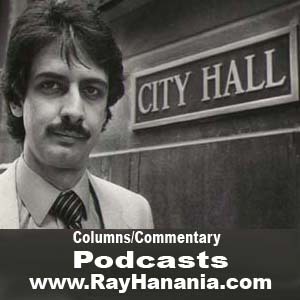 – Ray Hanania is an award winning former Chicago City Hall reporter. He is the managing editor of the Arab Daily News online at http://www.TheArabDailyNews.com.